Mokhtar Belmokhtar: French government says al-Qaida leader though killed in June was behind Mali attack. 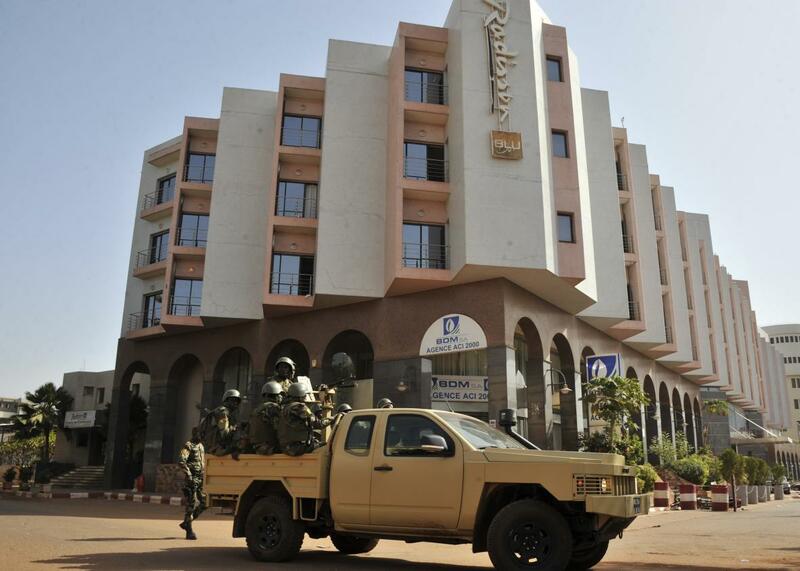 Malian troops patrol outside the Radisson Blu hotel in Bamako on Nov. 21, 2015. Coming so soon after the Paris attacks orchestrated by ISIS, there was speculation last Friday, including by me, as to whether the attack on a hotel in Bamako, Mali—a country with a recent history of French anti-jihadist military intervention—was in some way related. But while the exact perpetrators are unclear, it now appears that the organizers of the Mali attack fell on the al-Qaida side of the jihadist world’s major global fault line. Given the proliferation of jihadist groups that emerged in the conflict in Northern Mali that began in 2012, and the unclear and shifting relationships between them, it’s not surprising that more than one group has claimed credit for the attack that killed 19 people and may have involved as many as 10 gunmen. But all the likely suspects appear to have at least some al-Qaida affiliation. The likeliest culprit at the moment appears to be Al-Mourabitoun, which operates in the desert region between Mali, Libya, and Niger, and was founded by the al-Qaida-linked militant Mokhtar Belmokhtar. France’s defense minister said on Friday that Belmokhtar was “likely behind” the attack. I last wrote about the veteran, one-eyed jihadi crime boss in June when the Libyan government claimed he had been killed in a U.S. airstrike. It wasn’t the first time reports of his demise were greatly exaggerated. The Chadian military claimed to have killed him in 2013. Nicknamed Mr. Marlboro for his cigarette-smuggling activities and “the uncatchable” for obvious reasons, the Algerian-born militant is best known for the taking of hundreds of hostages at an Algerian gas facility in 2013. While nominally an al-Qaida commander, he has also clashed repeatedly with the global terror network’s leaders and is something of a lone operator. There were some reports earlier this year that he had switched his allegiance to ISIS, but the statements following the Mali attack suggest he’s still for the most part in the al-Qaida camp. Al-Qaida’s once-feared global affiliates have been significantly eclipsed over the past three years by competitors like ISIS and Boko Haram, which have proved themselves more deadly and ruthless, more media savvy, better at international recruitment, and more dedicated to state-building. In the wake of ISIS’s most dramatic action outside the Middle East to date, the Mali attacks may have been an attempt by some combination of al-Qaida affiliated groups to demonstrate that they’re still relevant.